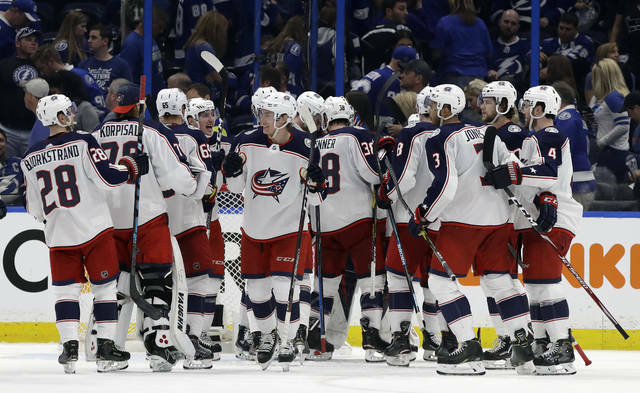 TAMPA, Fla. (AP) — The Columbus Blue Jackets rebounded from a dismal start to stun the team that had the NHL’s best regular-season record. 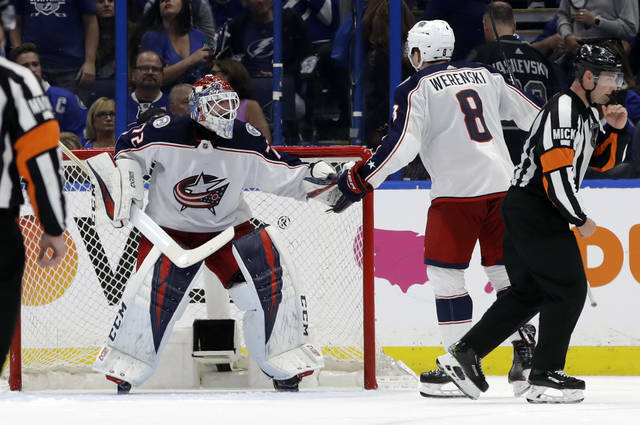 Seth Jones scored the go-ahead goal on the power play to cap Columbus’ three-goal third period, and the Blue Jackets rallied to beat the Tampa Bay Lightning 4-3 in Game 1 of the teams’ first-round Eastern Conference playoff series Wednesday night. The Blue Jackets became the 27th NHL team to overcome at least a three-goal deficit to win a playoff game in regulation. 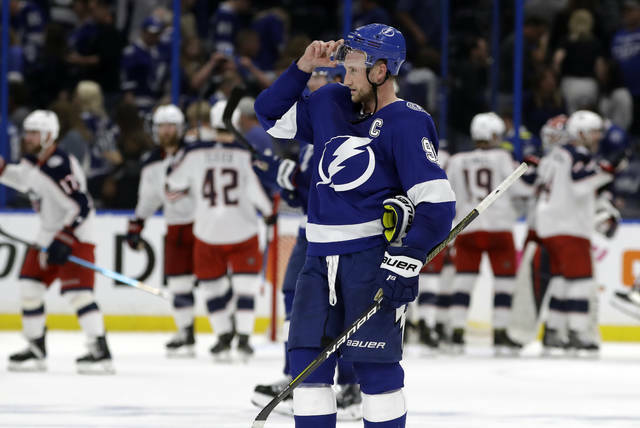 Tampa Bay scored 325 goals in 2018-19, the most by any team in 23 years. “We don’t have a chance if he doesn’t play the way he played through the second and the third,” Tortorella said of Bobrovsky. “I don’t know if it’s a wake-up call, but we know it’s a tough league to win in and we want to be better when we’re up 3-0,” Hedman said. “You can go through all the numbers, all the things, them against us, but when you play a 60-minute hockey game and you go through the momentum swings and the surges and maybe the big plays out of someone unexpected or a lousy play from someone unexpected, that changes games. So, that’s why it’s always up for grabs.” — Tortorella before the game on the unpredictability of playoff hockey.